Starting with a vivid narrative account of the life-threatening hike that triggered his own mystical experience, biologist John Wathey takes the reader on a scientific journey to find the sources of religious feeling and the illusion of God's presence. His book delves into the biological origins of this compelling feeling, attributing it to innate neural circuitry that evolved to promote the mother-child bond. Dr. Wathey, a veteran neuroscientist, argues that evolution has programmed the infant brain to expect the presence of a loving being who responds to the child’s needs. As the infant grows into adulthood, this innate feeling is eventually transferred to the realm of religion, where it is reactivated through the symbols, imagery, and rituals of worship. The author interprets our various conceptions of God in biological terms as illusory supernormal stimuli that fill an emotional and cognitive vacuum left over from infancy. Photo by Mary Ann Buckles. 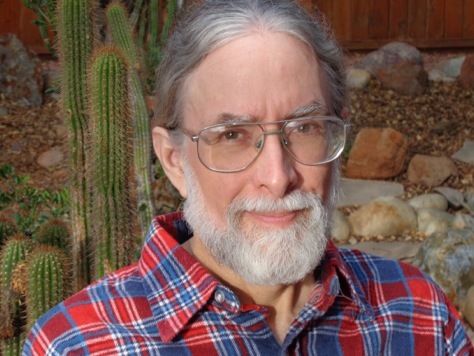 John C. Wathey is a computational biologist whose research interests include evolutionary algorithms, protein folding, and the biology of nervous systems. From 1991 to 1995, he was a senior applications scientist at Biosym Technologies (now named Biovia), a company that develops molecular modeling software for the pharmaceutical industry. In 1996, he founded his own business, Wathey Research, and since that time, most of his scientific research has been funded by grants from the National Institutes of Health. He is currently writing a follow-up work to The Illusion of God’s Presence, which explores in detail the neurobiology of religious emotion and behavior.